Sidebar: I’m only one sentence into this post and already I’ve been forced to use sarcastic quotes three times. For simplicity’s sake, I will, from here on out, drop the quotes with the understanding that the quotes are implied. Joel Osteen is only a pastor because anyone can call themselves a pastor these days, and his church is only a church because anything can call itself a church these days. I happen to be of the old fashioned school of thought that believes a pastor should be, in some ways, distinguishable from Tony Robbins or Oprah, and a church should be, in some ways, distinguishable from a basketball arena on game day. I’m not saying that all churches need to be adorned with stained glass windows and incense (although I’m a fan of both), but I am saying that maybe all churches should have, like, a cross or something somewhere, maybe. God forbid a house of worship be arranged in such a way as to make it clear that we are specifically worshipping Jesus Christ and not the smiley fellow on stage giving the vaguely spiritual pep talk. Amen! What wonderful blasphemy! Worship God for yourself. Do good works for yourself. Take up your cross, suffer the slings and arrows of the Enemy, and die with Christ for yourself. (OK, she didn’t say that last part, but only because the Osteens have a strict “don’t talk about Jesus” preaching policy). In more primitive times they burned heretics at the stake. Now we greet the blasphemers with applause and multi-million dollar book deals. I’m not sure if the latter response is any more enlightened than the former, but both are wrong. This is obviously an indefensible teaching, and one that does not require more “context” to be understood. “Do good for your own self.” A definitive, complete, profoundly disordered statement. Rooted in the Idolatry of Self, it betrays a pagan attitude which positions the Self as the Ultimate Good, the Final Purpose. All things — even God Himself — must revolve around the great and powerful Me. In the Osteens’ version of things, God exists to serve us, just as we exist to serve ourselves. You act virtuously for your own sake, because it brings you happiness. 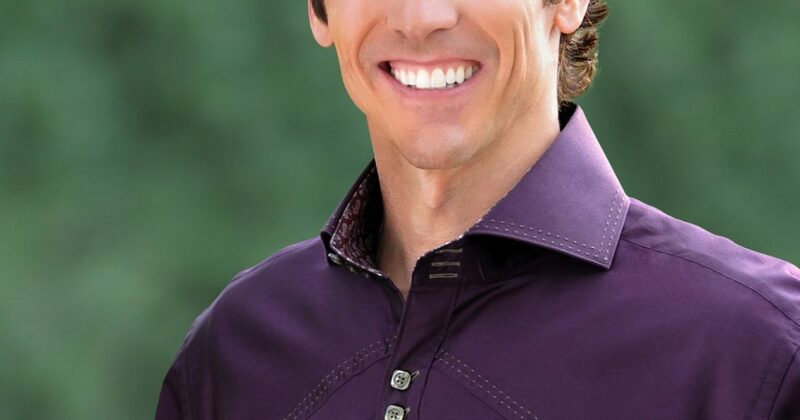 Never mind what Christ said in Matthew, when He told us to “let our light shine before others, so that they may see our good works and give glory to our Father who is in heaven.” Here, He seems to state that we act with righteousness and virtue in order to glorify God, but Mrs. Osteen thinks that Jesus is complicating the equation. Just shine your light for your own sake. Forget about God. Keep it simple, folks. Become living sacrifices. Be holy and acceptable to God, your Master. One would assume that we ought to still prostrate and humble ourselves before the King, even if it doesn’t always necessarily fill us with pleasurable, fun feelings. But we would be wrong, according to the Osteens. God is a lenient and permissive Father who would never ask such a cumbersome thing of his children. Instead, He spoils us with treats and toys, and wants only for us to always be fat and happy all the time, no matter what. If a child is unhappy, or lacks in certain Earthly pleasures — like, say, the ten million dollar mansion where the pastors Osteen currently reside — then clearly that son or daughter has failed as a Christian and a human being. In the “Prosperity Gospel” — the theological school of thought where Osteen and his ilk concocted their perverse interpretation of Christianity — God rewards us with material wealth and temporal happiness. Those who have neither just need to believe more and pray harder. “I’m a winner! Now give me money!” Like that? Does that work? But I’m still not rich. What’s going on here? Although these megachurch prosperity preachers might hop on their private jets and hand out books and t-shirts in some of these desolate, destitute, hellish regions of the world, it’s no wonder that their message doesn’t exactly resonate there. Only western Christians could be so soft, so silly as to eagerly buy into the empty platitudes of false teachers such as these. Joel Osteen has no answers for those who truly suffer. He can spew inane slogans like, “if you have a big challenge today, that just means you have a big destiny!” (actual quote), but he can’t offer any real hope to the tired, the poor, the sick, the persecuted, the lonely, the dying. He gives them a friendly slap on the back and tells them to pick their chin up because it will all get better, but then he goes home to his castle and things don’t get better — not in this life, anyway. The sick get sicker, the persecuted are seized, arrested, and beaten, the tired find no rest, the poor lose even what little they had, the dying die, the suffering suffer. This is the reality for most of the people on this Earth, and the Osteen Doctrine sounds like nonsense in the face of it. What if we just held men accountable for their own behavior? Why is everyone so mad at Ray Rice for punching his fiancee?